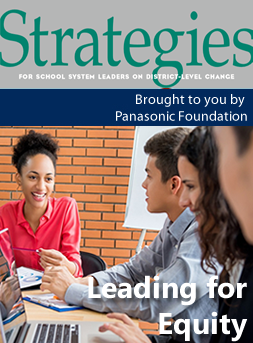 The Panasonic Foundation, in cooperation with AASA, The School Superintendents Association, has developed a series of issue briefs to assist school leaders with district-level change. These occasional issue briefs contain case studies that capture key learning from systemic and whole-school reform efforts in school districts nationwide. For more information, contact Scott Thompson at the Panasonic Foundation.